We're honored and incredibly proud to announce the opening of a our newest driver's education location in Parker, Colorado! With this new location, we can serve more people in the Denver area and continue our mission to teach teenage drivers the most current and up-to-date driver training in the State of Colorado. Our new location is conveniently located by the Department of Motor Vehicles in Parker. This is by the intersection of South Parker Road and Cottonwood Drive. 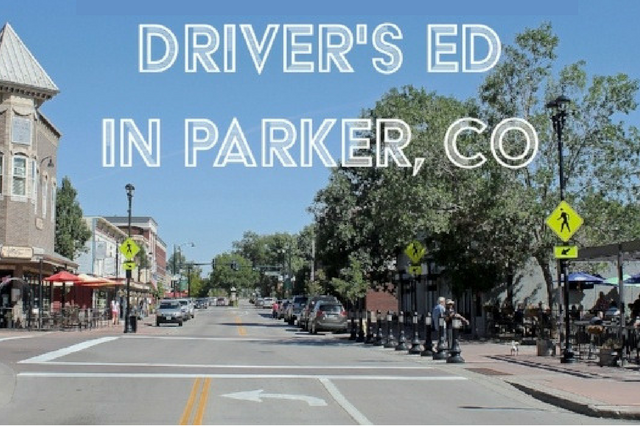 Our up-and-coming Parker location will allow us to continue growing and teaching Colorado's teenagers how to drive with safety and caution. Not only are there plenty of restaurants nearby for a post-driver's education meal, our new location offers every course and package. Click here for more information on all the courses WSDI provides. Our phone number is coming soon. Feel free to email us at info@wsdi.com with any questions you may have, or to sign up your teenager for a driver's education class. WSDI can help your teenager with just about every aspect of their new drivers education from classroom lessons to behind-the-wheel coaching to taking the driver's test. Once the driver's test is successfully passed, you can easily visit the nearby DMV to obtain your teenager's driver's license. With three driver's institutes located throughout Colorado, Western Slope Driving Institute has been helping teenage drivers learn how to operate a vehicle with safety for years. Our instructors are all active or retired police officers, and they will help your child understand the rules of the road. WSDI already offers driver's education and driving safety awareness classes in Grand Junction, Littleton, and Denver. Each of these locations is ready to help your teenage driver learn how to safely drive in Colorado and the rest of the United States. Curious for more information? Head to our FAQ page for answers to common questions, or head over to our Contact us webpage to ask questions.